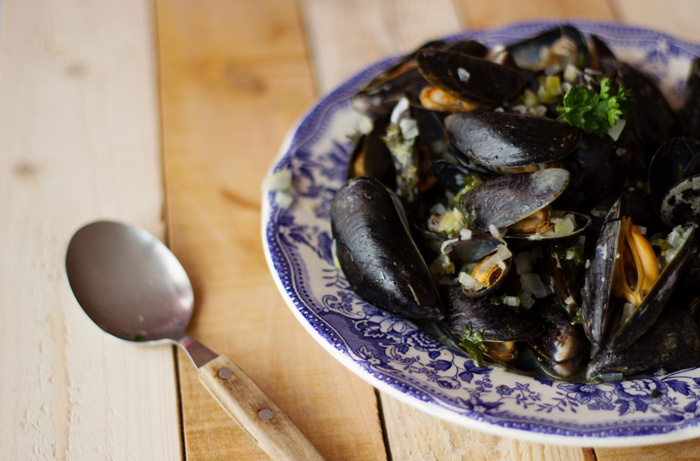 Moules Marinieres Recipe - a French girl "cuisine"
That’s one of the easiest recipe I know. You might need few minutes to chop all the ingredients, but this is the hardest part. Only 10 minutes cooking and you can serve. My grandma from my mother side was often making mussels mariniere for us over the week-end. I usually buy 1 kg. per person. My friends told me last Friday that was insane and definitely too much… But we eat them all… including the huge bunch of French fries I made with my actifry from tefal. A great tool. A must have from my point of view. Do you have one? Have you already used it? When I was living in Zurich, I was going out to dinner in French restaurant from time to time. They were all fancy and quite expansive and I was always really surprised to see how many customers were ordering mussels. I usually am ordering a nice fish or a good piece of meat with maybe some foie gras as a starter. In France eating mussels is like going to a fast food restaurant; this is not really categorized as haute cuisine. Yes, I know we are lucky :-). How is it like to dine out in a French restaurant in your home country? What are you usually ordering? Peel and dice all the ingredients. Melt butter in a large casserole dish. 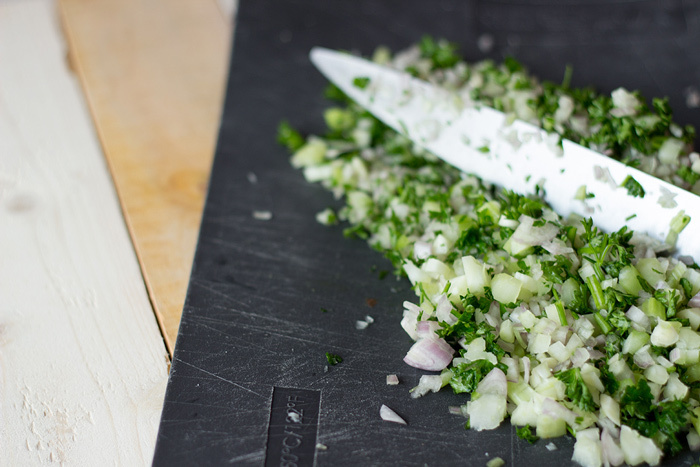 Add celery, garlic, shallots, parsley and pepper. Cook for 2 minutes. Pour white wine and add mussels. Cover and leave to cook for 10 minutes and serve. Thank you very much for reading. 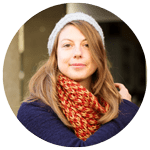 Register to the newsletter or follow me on social media to get the latest recipes of a French girl “cuisine”. Check out more seafood recipes. Beautiful. 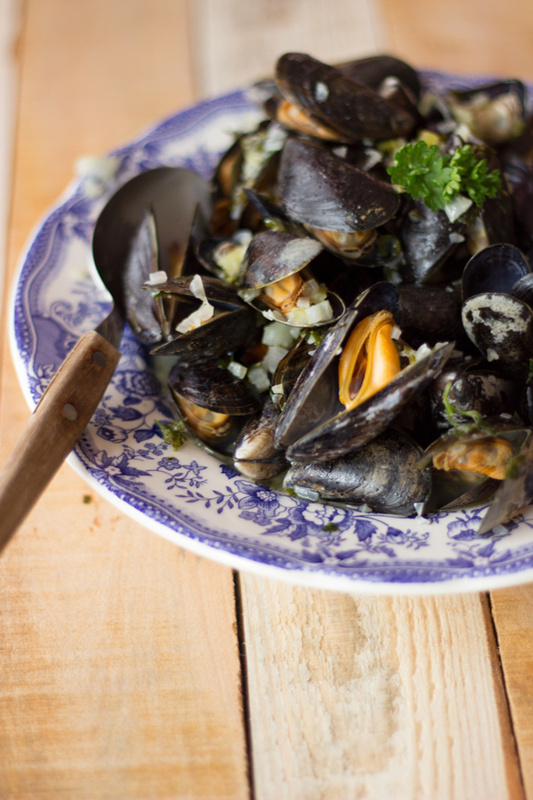 I wish I could get mussels where I live. But when I travel to Europe, this is what I eat! That’s a shame that you cannot get some… Hope you are coming often in Europe :)!